I am always trying to find locations that inspire me and fit a certain vision. It is a lot trickier and more difficult than I would ever think it it’d be, but it is one of those things that is just a fact of life as a photographer. For what feels like a million years, I have been trying to find the field--you know, the unicorn, the Eleanor, the impossibly perfect fit. Somehow, I stumbled upon this beauty in the most unlikely and unexpected of locations. It was practically fate. I immediately saw the session in my head and knew I had to find a way to bring it to fruition. 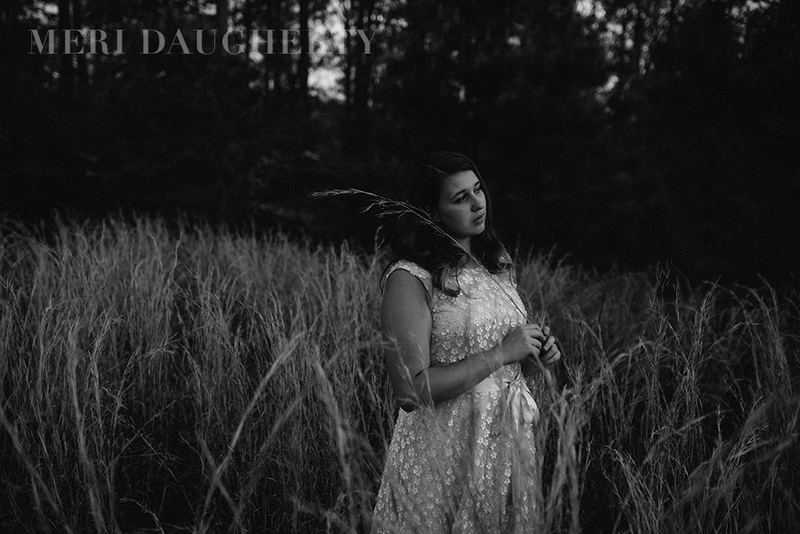 The images in my head were very specific- a girl in a cream colored dress, running through a field of high grass, a sparkling sunset, an energy of freedom that included the complex and paradox emotions that come from freedom--both the joy and the melancholy that come from it. It ended up working out rather perfect. My gorgeous model was a senior in her final weeks of high school when we shot, so everything flowed perfectly. We seriously lucked out with the weather, too. I was seriously concerned about doing the session if it was overcast. Our cloud coverage has been rather absurd this year with so few truly sunny days. But my worrying was in vain, because the sunset was everything I ever could have wanted it to be with a beautiful warmth that really made it all fall into place better than I could have imagined. Since my goal for the session was primarily a few key elements combined with a simple (and complicated) feeling, I gave general directions and let it progress organically. I wanted to capture the movement of the light and the dress and emphasize the vibe of conflicting emotions. 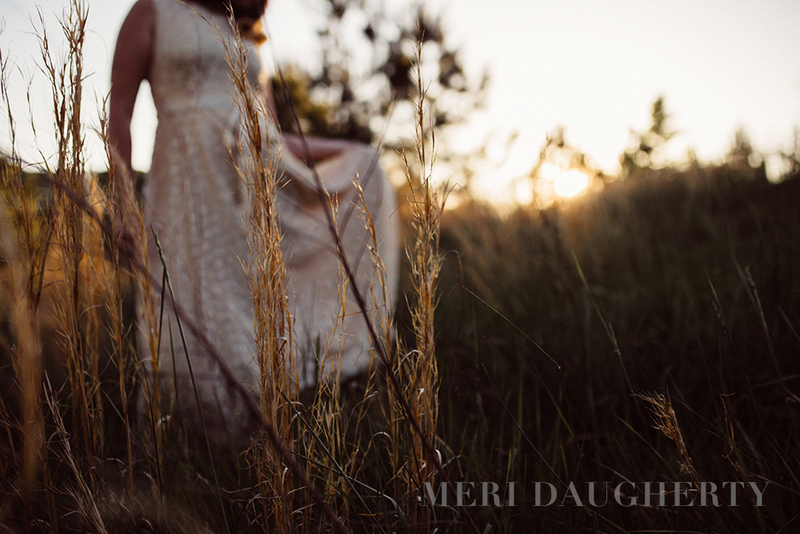 Meri Daugherty Photography - Brand RELAUNCH!